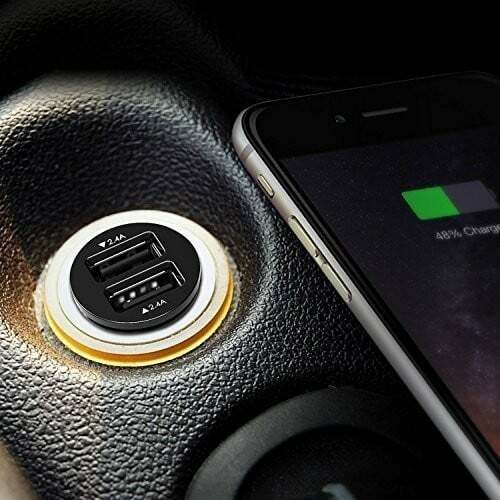 If you’re on the hunt for a car charger and you want something that is both super small and will charge your iPhone really fast, this Aukey 4.8A Dual Port USB Car Charger is the one you should get. It’s just $7 when you use promo code AUKECAR7. 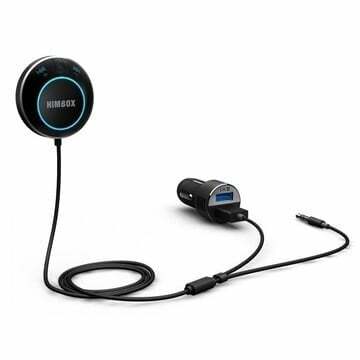 This particular car charger is considered by many, including us, to be one of the best car chargers you can get. It features two 2.4A ports capable of charging two iPhone’s at the same time at full speed. This is not something you often see in a car charger. In fact, this is one of the few that does it well and consistently without breaking. What’s also great is that this charger might have the slimmest profile of any car charger we’ve seen. It’s so thin that you can effectively put it in your cigarette lighter and still close the lid, which is pretty remarkable. It’s also incredibly popular having received a 4.5-star rating from over 2,900 reviews. Here’s what one reviewer had to say. Exactly what I was looking for in my car. 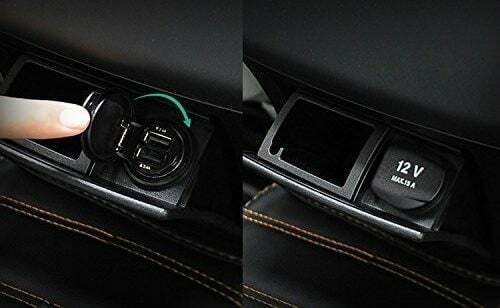 My car has a flip down cover across the center console, so I was looking for a dual-USB charger that was slim and fit into the charger without sticking out. A lot of other chargers have a big block on the end, which would cause the flip down cover to stay open all the time. This worked perfectly! Overall people seem to really love this charger and given the price, which is at an all-time low, this is a total no-brainer if you’re looking for one. Just be sure to use the coupon code AUKECAR7 at checkout to save an extra 30 percent, bringing the price to $7. Looking For More Great Car Accessories?